Where old RPGs go when they die and move on to the afterlife. OK, so here's your character template. NAME: The Votoms universe has plenty of funky names. Get your 80's goggles ready! RANK: The default is Private E2. PFC is for more experienced soldiers, and Sergeant is for veterans. HEIGHT/WEIGHT/FEATURES: Again, exactly what it looks like. Your character will be wearing uniform though, so don't worry about clothes. ROLE: Most of you will put down either Scopedog pilot or Standing Tortoise pilot. PERSONAL NOTES: Mostly your character's personality, as well as any other details such as talents or shortcomings. With those taken care of, here are some tips for character creation. -If you wouldn't try to submit them to Tales from the Frontlines, don't bother trying to submit them here. -Your home planet will greatly influence your character's background. Someone growing up on a populated planet will be very different from someone from a dead planet. -Outfitting your AT will take place in the first episode. So don't worry about those details now. -While veterans are acceptable, Red Shoulders are a no-go, especially on a mission that involves killing one of their own. -If your character wants to represent some other power with interests in Scarax or Betros, or has some secret to hide, feel free to PM me. Keep it a secret though- hidden agendas are no fun if every other player is in on it! I'll put up a sample profile in a moment. Last edited by Inferno on Thu Aug 30, 2012 7:21 pm, edited 1 time in total. HEIGHT/WEIGHT/FEATURES: 6'2", 154 lbs. Grey hair, green eyes. Aged face. BIO: Colonel Zoltho has a distinguished, yet unrecognized military career. Hailing from Melkia, he graduated 2nd highest in class from the Gilgamesh ROTC, and has overseen plenty of successful military operations, with only a few failures. He is the one who organized ARF-356, and is responsible for overseeing the mission from orbit. PERSONAL NOTES: A no-nonsense type who almost never jokes around. Not too harsh, but almost like a robot in his business-first mentality. Very private individual, but also very honest. Last edited by Inferno on Wed Aug 22, 2012 2:22 pm, edited 1 time in total. HEIGHT/WEIGHT/FEATURES: 6'7", 180 lbs. Platinum-blond hair, blue eyes. Overall mountain of a man. Habitual smoker. ROLE: Mission target. Must not leave Scarax alive. BIO: Betros came from the frozen dead world of Angros, conscripted by a salvage team. From there, he was trained in AT piloting and deployed to the front lines. After a year or so of distinguished service and incredible bravery, Betros was moved to the Red Shoulders. There he thrived as both a soldier and instructor, often leading the live-fire training exercises. In spite of his flagrant disregard for his men's safety, Betros was a charasmatic leader and anyone who survived his hellish training regimen soon were among his trusted entourage of soldiers. When the Battalion was dissolved following the Sunsa atrocity, Betros was purposely moved away from his followers, and assigned to Scarax. There he resumed his brutal training, and helped turn a hopeless losing battle into a stalemate. Betros was an enigma: he was both loved and feared. It was said that a solider would be better off dying in battle than to come back and accept that they failed Betros. PERSONAL NOTES: Quiet and calm off the field, Betros is often times the voice of reason and peace in the chaos of field command. He is positive, uplifiting, and supportive. Yet on the field, his training matches included, Betros turns and becomes a vicious monster, not stopping until he kills everything between him and his objective. Soldiers have noted that it is often times safer to get behind him, lest he mistake them for the enemy. HEIGHT/WEIGHT/FEATURES: 5’9”, 149 lbs., ultramarine hair, dark brown eyes. Character art. BIO: Born on Kuzsuk in Melkian space to an undistinguished Gilgamesh officer and his young wife. Rhobert’s exposure to his father’s “business” from birth and his uncanny talent at getting into places he wasn’t supposed to be as a child led him to “special reconnaissance” and long range patrol missions as an AT pilot after he joined the military. PERSONAL NOTES: Rhobert is the type that tends to avoid exposing himself to unnecessary direct danger to the point that some might mistake him for a coward, but the truth is he’s simply extremely cautious. Despite this, now and then he’s good for a total surprise in combat. Part of his quiet, observant nature comes from the skills he’s honed in prior missions, but that’s also what made him suited for his role in the first place. Location: Cruisin' the Universe w/Spaceman Spiff!!! HEIGHT/WEIGHT/FEATURES: 6'1", 200 lbs., blond hair, shaved down to stubble, goatee stubble, bronze-colored eyes, well-muscled but not overly cut, wears a ring on his right ring finger, carries an old looking revolver-type pistol with him. 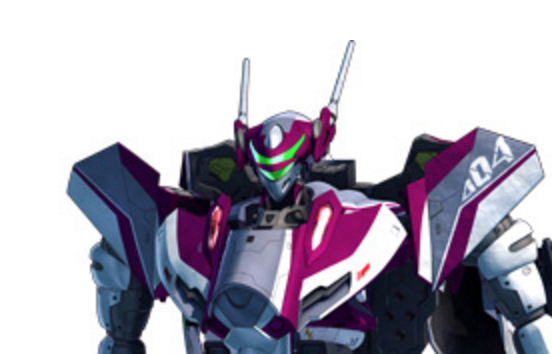 BIO: Rayner came from the industrial world of Mynos (My-no-s). It was a world of strange extremes; farms and ranches literally shoulder-to-shoulder with factories and laboratories. He was a relatively good kid if a little mischievous and even knows when to back down from a fight. He's one of the rookies of ARF-356 but he loves his Scopedog something fierce and has taken to calling it Liddy, after a dog he had back home. PERSONAL NOTES: Kinda laid back but fierce in a fight. Loves to pal around with his fellow soldiers but knows when he's not wanted. Best described as a "good old boy." Likes to smoke cigars, especially after a victory. I can fly if I ride the wind! Gori gori! BIO: Born on Thedus, a sparsely populated mining planet. This sweet natured kind-hearted young lad took up the military tradition when his father became disabled in a nameless battle several months ago thus wiping out his plan to attend an off-world medical university and returning to a home in much need for a trained medical expert. PERSONAL NOTES: Essentially he volunteered to keep younger citizens from being conscripted. After completing training he was rushed into battle where he saw carnage on a grand scale, afterward his confidence was shaken and doubts materialized on his surviving his term of service. He has basic knowledge of medical training. HEIGHT/WEIGHT/FEATURES: 6'4", 162 lbs, gaunt face, hazel eyes and a 'thousand yard stare', jawline stubble, black hair cropped short, missing right pinky finger, burn scarring across the left side of head, gruff lower-class english accent. BIO: grew up in the impoverished areas of one of the few settlements on Jurgaul, a harsh planet mostly covered in vast stretches of dense jungle, joined the military in order to have the certainty of roof over his head and three meals a day, years of navigating the jungles of his homeworld gave Sterling an impeccable sense of direction and spacial awareness, resulting in him being designated point man for combat engineer squads, due to this he has been at the forefront of some of the harshest fighting and by some miracle managed to survive, physically at least. PERSONAL NOTES: very pragmatic if somewhat paranoid, unnervingly calm even in the middle of a firefight which tends to lead to reckless and/or daring behaviour, aptitiude for navigation, fieldcraft and close quarters battle, extensive knowledge of structures and fortifications (along with their weaknesses), rarely has anything nice or uplifting to say. Alright, everyone above me is approved. Still need a leader character, and I'm leaving applications indefinitely extended until we have roughly six characters. I'd say that would be good enough to start. HEIGHT/WEIGHT/FEATURES: 5' 5"/ 190 lbs / Well built for some one his age, as he is lean with some muscle from his training and time in the arena. Short cut black hair and has brown eyes. BIO: Royd was born on the planet of Zaftra, a mostly industrialized planet with a few areas of preserved plant life. 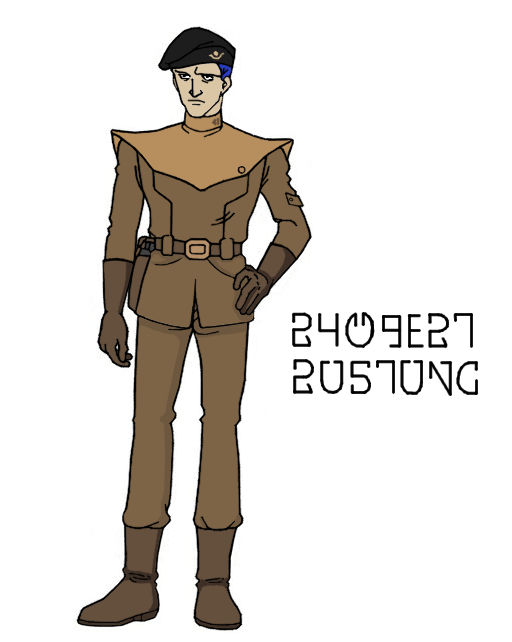 He was conscripted into the military at the age of eighteen, and was assigned as a AT pilot for the garrisoned forces at the neutral planet of Hoshi. He was later transferred to a reconnaissance group responsible for surveillance and information gathering. A few months with his team and they had been given a special mission. The mission went down hill very quickly due to the unit being discovered by Baralant forces. Due to this incident Royd was forced out of the military, and so he turned towards arena combat. This is where royd was introduced to the Standing Tortise AT. A few months would pass before he was approached by a recruiter for the ARF-356 battalion. He agreed to join the ARF-356 and now finds himself being sent to the battlefield once more. PERSONAL NOTES: Royd is a man who enjoys the company of women, over that of his own comrades. A bad habit he picked up from his time in the arenas, and his minor fame. He also has picked up knowledge of armored trooper mechanics, and using salvaged parts to repair an armored trooper from his time in the arena. Royd is the type of man who puts defense over offense, but isn't afraid to get his hands dirty. He is also a man who prefers to weaken an enemy from a distance, before they can get to close to him to cause actual harm. Even with this he sometimes gets caught up in the moment. Some refer to him as being precise and efficient, as in the arena he aimed to disable his opponents AT, but on the battlefield he tries to keep an enemy AT intact as much as possible so it can be salvaged for possible parts. HEIGHT/WEIGHT/FEATURES: 6"0, 200 pounds, extremely muscular, with tattoos shaped liked blood spatters on his arms. Long dark hair and golden eyes mark out his lineage from Zogdo, as well as silver stripes that he constantly paints on his cheeks. BIO: born on the dry, rocky dead world of Zogdo, Jahg Saonv was already a hardened individual when Gilgamesh forces discovered him and his family during the Balunak Campaign. However, after being consripted into the war effort, Jahg constantly lashed out against his superiors, as his culture refused the idea of forced ownership unless bested in a fight. The Gilgamesh took a different apporach to control him, holding his family hostage in return for compliant service. Since then, the hunting and tracking abilities he developed on Zogdo, even if they sometimes tread across the border of superstition, have been used to reasonably good effect in a few small-scale campaigns. Jahg's greatest asset, though, is his ruthlessness; any weapon at his disposal, from thrown rocks to clubbing ATs with a damaged Scopedog arm, will be used against the Balarant. PERSONAL NOTES: despite being relatively compliant to Gilgamesh officers, Jahg Saonv still has a tendency to disrespect them whenever he gets the chance. Generally seen as a brooding barbarian, Jahg has taken the time to read some Confederation literature. His largest character flaw is his temper; disrespect his family, people, or him, and the rage rises. The Gilgamesh have used this rage against the Balarant, which he often tries to annihilate completely, but have noticed that Jahg is especially pleased that he will be killing former Confederation soldiers. Fear the power of the skirted suit. Fear it. OK, that's six, so hopefully come monday I'll have a thread set up. We still don't have a unit leader, so PLEASE PLEASE PLEASE someone PM me with a request this weekend. Otherwise I'll have to put one in as a GMPC, which could mean potential rail-roading. HEIGHT/WEIGHT/FEATURES: Huey, despite barely being of age to be considered a man, is a rather large individual standing 6,1 with a large and rather imposing figure. He has dark skin, short brown hair, and dull earthy brown eyes that would probably make him very samey and easy to overlook if not a giant. Growing up poor and having worked on a farm his life Huey has a gaunt, but very fit upper body build. His year in the military so far have made him quite athletic as well. He weighs 220 pounds. BIO: Born on the planet Melkia, in the jungle civil war plagued country of Kummen, Huey was the son of a farmer's daughter and a former Gilgamesh soldier. They worked and lived on a small rice farm they owned in one of the deeper parts of the jungle, a good 20 miles from the nearest settlement. Huey was quite bored as a child, having few friends and seeing very few people besides his mother and father. He often blew off working on the farm to explore the surrounding jungle and became very adapt at climbing, swimming, exploring, and dealing with deadly wildlife from an early age. Huey longed to see the universe, despite his father's constant warnings that all that awaited him was violence and misery. Huey was no stranger to violence. Being rather big for his age, even as a child, people tended to be very hostile or mistrusting of him, often suspecting him of being a member of the Veela Guerrillas or a mercenary. It proved difficult to stay out of fights as they always seemed to find him, not helped by his own curiosity and inferiority complex. However his father's constant naggings and often rather gruesomely detailed lectures on how real battles worked made Huey realize that trying to run off and become a mercenary with no training or experience in combat would probably get him killed. Yet he refused to be stuck working on his parents farm the rest of his life. So he began to wander through the jungle, stalking battlefields and trying to recover as much hardware as he could, hauling it all back home to fix and repair it, before hiking it to the nearest town and pawning it off to local dealers. He made a pretty measly profit, but considering her didn't make anything on the farm he was pretty peachy doing this. As soon as he saved up enough money, he packed his bags and bought himself a shuttle ticket to the nearest place with a Gilgamesh recruitment center. The military proved rather difficult to Huey at first, having to constantly listen to other peoples orders and swallow his anger was more tasking then the drills he was put through. He joined the military wishing to see the universe and become a kind of hero in his own mind. However he often felt he was held back or outright mocked by his peers due to his size and rather immature outlook on things. Personality problems aside a mere year into the military and he'd built up a decent reputation as a Heavy AT pilot, showing to be skilled with heavy weapons inside and outside the cockpit, as well as having a knack for identifying hardware. He remained Private E2 due to his issues however, but was never the less shipped out to become a member of ARF-356, who seemed to be in need of a heavy AT Pilot. PERSONAL NOTES: Huey is idealistic, optimistic, and fun loving, having a tendency to see ATs more as exciting tools then killing machines. His size and strength hide his immature and naive outlook on things right around until he opens up his mouth. He's someone who despite towering over others, feels out of place and inadequate. Huey has the body to do great things, but often lacks the proper skill or mindset. His past failures and the mocking of his fellow peers (not helped by his isolation from those his age as a child) has made him very prone to violent outbursts and near suicidal acts of bravado, both in and outside of the cockpit. He's a good person at heart, perhaps a little too good. However his need to prove himself often puts his life and the lives of other at risk.